Sunday April 14, 2019 FORMULA 500s - Higgs Wins the Finale! Thursday April 11, 2019 FORMULA 500s - It’s Grand Final Time! Sunday March 31, 2019 FORMULA 500s - Higgs Second Impressive Win! Ryan Higgs has tonight driven to his second impressive Perth Motorplex feature win in as many meetings, crossing the line first in the fifteen lap feature event. Wednesday March 27, 2019 FORMULA 500s - The Last Chance! Monday March 18, 2019 FORMULA 500s - Awesome Albany! The Ultimo Constructions West Coast Series has now got just two rounds remaining for season 2018/19, which means that all the drivers will be doing everything they can to record some good results in the final desperate dash for points to round out the Series. Sunday March 17, 2019 FORMULA 500s -Ellement Breaks the Drought! 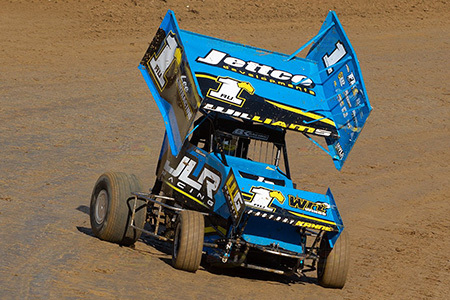 Despite winning the WA Title recently, Steven Ellement had a Perth Motorplex hoodoo to break, not having claimed a win there in a number of seasons and tonight he achieved just that, winning the feature in fine style, his twenty fourth at the venue. With only a few shows left to close out season 2018/19, the Formula 500’s will this weekend head back to the Motorplex to complete in what will be Round Seven of the Perth Motorplex Track Championship. It’s the wealth of unfailing support from her family and friends that has continued to encourage Steph Munn throughout her Formula 500s career and allowed her reach new heights, most recently achieving her biggest milestone yet with a visit to victory lane. Thursday March 7, 2019 FORMULA 500s -An Ellement of Success? It’s often said that in any endeavour, you get out what you put in, and this is certainly true for former Legend Car racer Glen Philpott, whose significant planning and preparation prior to stepping into the Formula 500s class late last season is already paying off. Whyalla racer Angelo Karoussis regained his crown as the Formula 500 “King of the Bridge” as won the title for a third time on Saturday night (December 15) at the Murray Machining and Sheds Murray Bridge Speedway. After trailing early race leader Liam Williams, a late race caution gave Karoussis the chance to pounce with the leading duo trading passes at either end of the race track before Karoussis opened a 2.7 second lead to defeat Williams and Patrick Merrett. Proving that age is no barrier since graduating from Junior Formula 500s and making the big step up into senior competition this season, youngster Brodie Davis has already begun to display promising signs in the opening stages of his senior career. Showing maturity and confidence beyond her years, youngster Tarhlea Apelt has experienced a competitive transition into senior Formula 500 competition so far this season, with her development in the Junior Formula 500 class certainly paying off. The final pre-Christmas meeting hits the Murray Machining and Sheds Speedway this Saturday night (December 15) with the Formula 500 King of the Bridge and Round 2 of the Wingless Sprint State Series being the main attractions. Both main events have attracted their respective National Champions with Queensland based Liam Williams (Formula’s) and Joel Chadwick (Wingless) leading extremely competitive fields in both classes. Having turned 12 earlier this year, Max Bevan certainly wasted no time in progressing to the next stage of his early speedway career, making the step into Junior Formula 500s this season. The South Australian Speedway season opened on Sunday night at the Murray Machining and Sheds Murray Bridge Speedway with Matthew Kennedy and Angelo Karoussis staring at the Moore Mechanical / Zambrero supported event. Considering it was the first event of the new season there was some extremely competitive racing in all classes with the entertaining night being capped off with a crowd-pleasing U-Pull-It Demolition Derby.